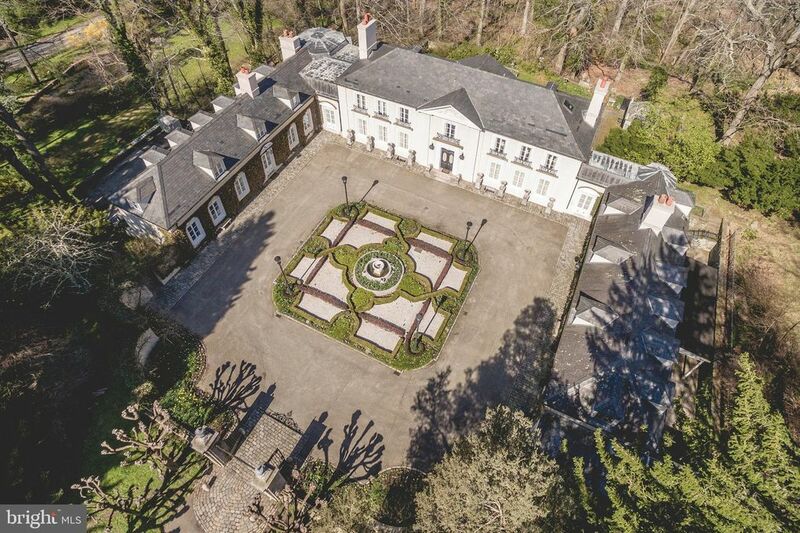 This breathtaking, gated, Bryn Mawr Estate with courtyard offers stunningly beautiful grounds and complete privacy, while being in close proximity to the charming towns of The Main Line, Center City Philadelphia, Acela Trains, Philadelphia International Airport and more. It was completely gutted, meticulously renovated and expanded by the current owner, featuring only the finest architectural designs, moldings, antique millwork and wood floors, imported marble, hardware and sophisticated finishes. Features include sun filled gracious rooms with floor to ceiling French doors and windows with views of the glorious gardens and property, 12 foot ceilings, a wonderful open flow for grand scale entertaining as well as casual family living, NEW GOURMET KITCHEN/ FAMILY ROOM AREA BEING COMPLETED, luxurious Master Suite with marble bath, domed ceiling sitting room and large dressing rooms, 6 additional bedrooms/office space, 7 additional full bathrooms, 2 powder rooms, attached 6-car garage spaces, tennis court and pavilion, natural stream fed pond to compliment the natural gardens and more. This treasure is set on a rare 5.82 acre lot off of a prestigious restricted lane.